In its 34th year of honoring the nation’s best high school athletes, The Gatorade Company, announced Mackenzie Holmes of Gorham High School as its 2018-19 Gatorade Maine Girls Basketball Player of the Year. 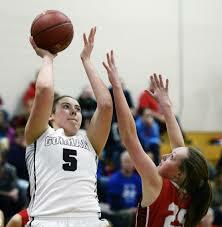 Holmes is the second Gatorade Maine Girls Basketball Player of the Year to be chosen from Gorham High School. Congratulations Mackenzie!